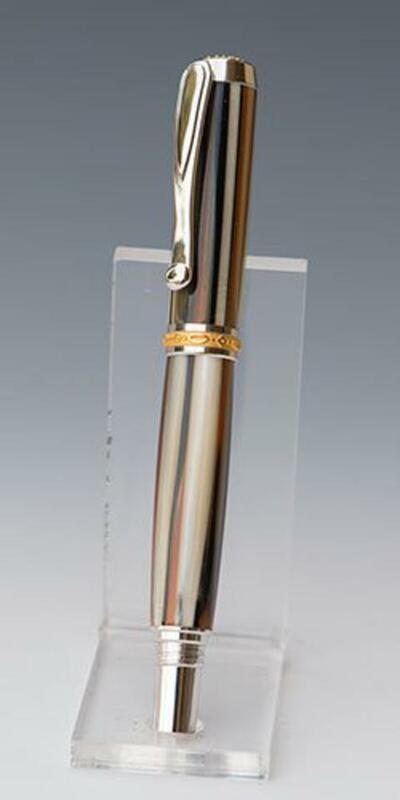 This unique acrylic pen was hand turned and then assembled with rhodium parts. Trimmed on both ends and the band in 22k gold. Uses an international style refill.